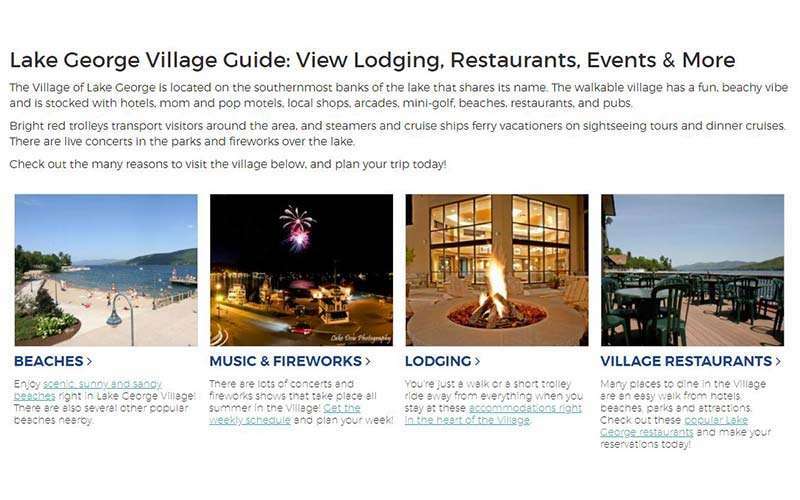 Plan the perfect vacation to the Lake George Region by exploring LakeGeorge.com, the ultimate Lake George, NY online travel guide featuring local lodging, restaurants, top things to do, and much more. 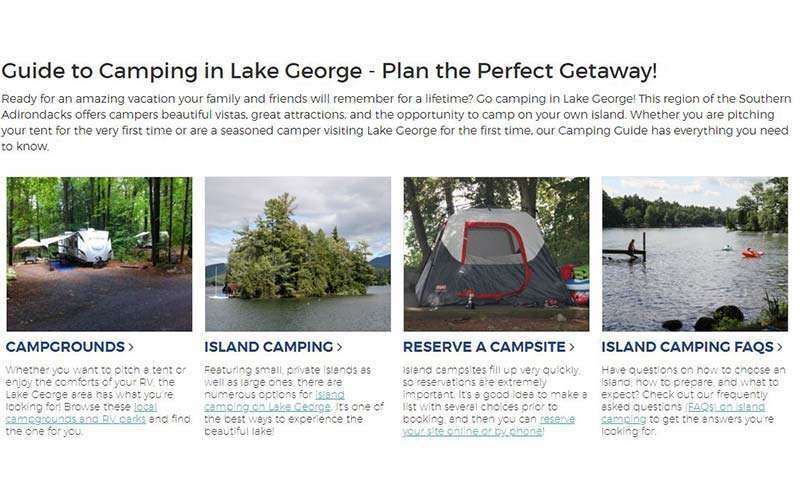 Located in the Southeastern Adirondacks, Lake George and the surrounding area feature some of the most beautiful scenery in New York's North Country. 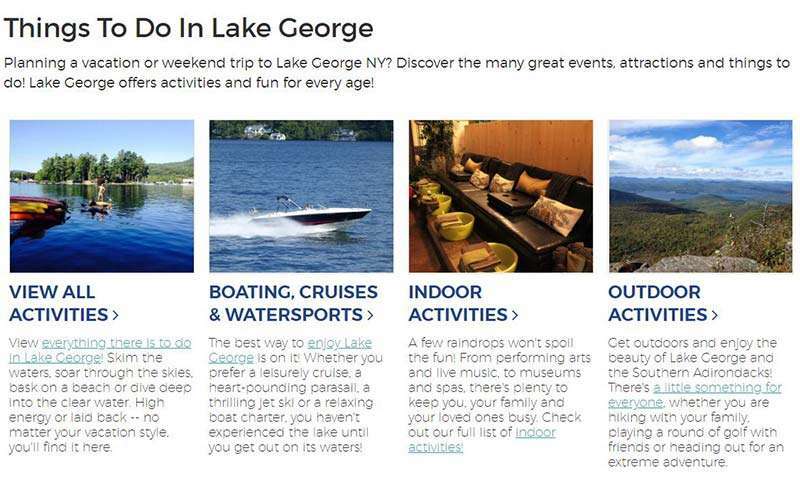 Whether it's spring, summer, fall, or winter, there are always plenty of fun things to do and see, from the Village of Lake George to Bolton Landing, Hague, and Ticonderoga. 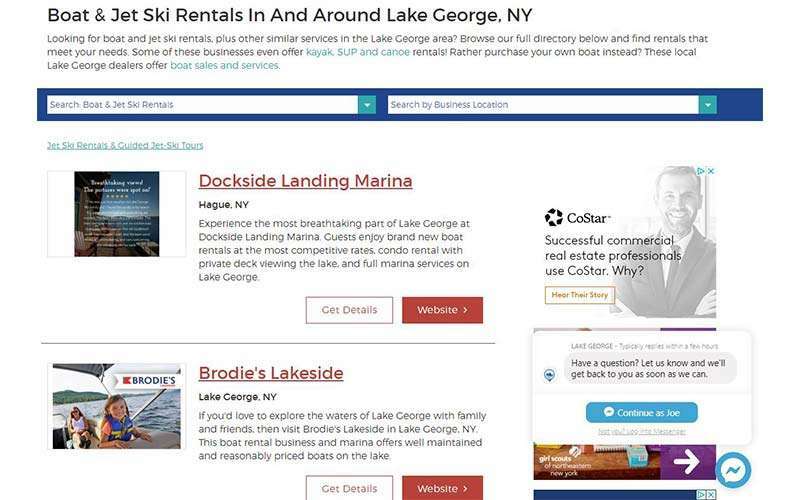 On LakeGeorge.com, we've put together helpful guides, local business directories, and more for people who are interested in visiting the region. 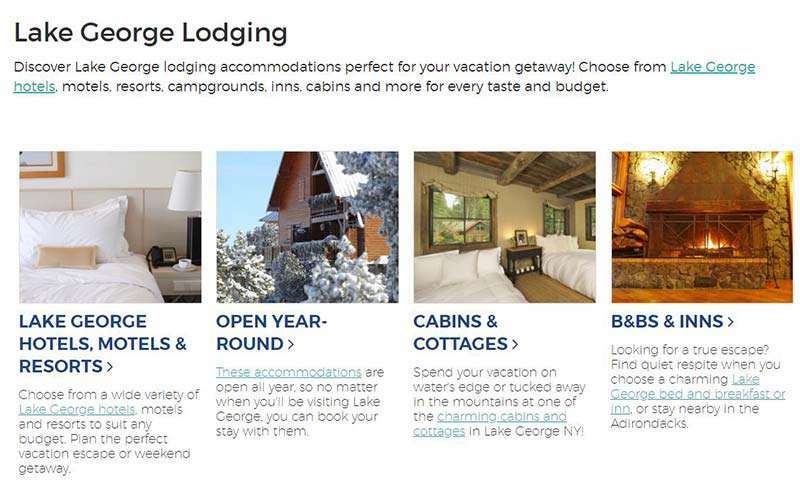 You can explore lodging options (hotels and motels, cabins and cottages, B&Bs, house and vacation rentals), campground details, popular restaurants, seasonal activities and events, beaches, nearby hiking and biking trails, shopping spots, and other essential info. 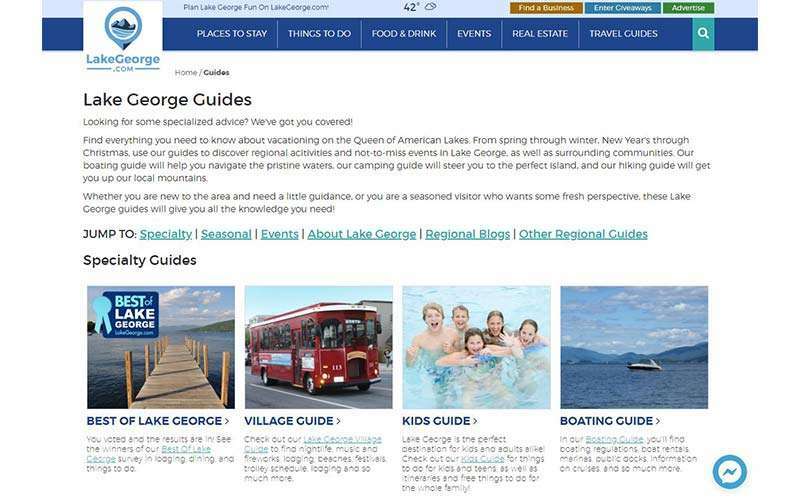 By using our online travel guide, you'll be able to plan an unforgettable trip to Lake George and experience everything the area has to offer. 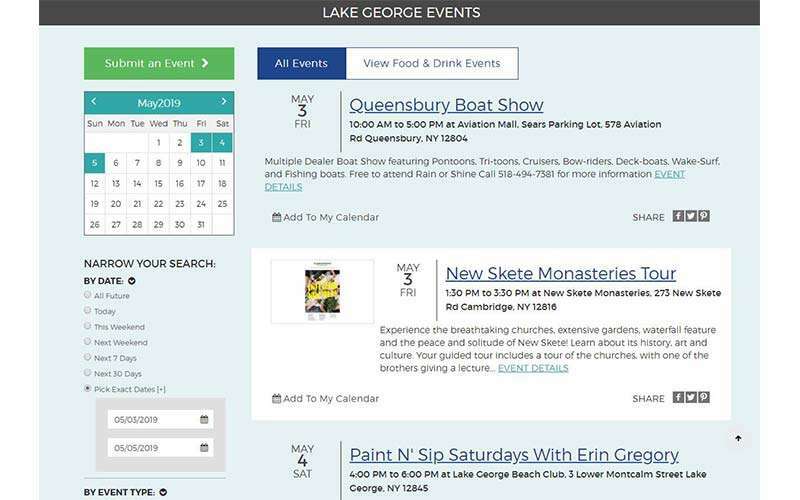 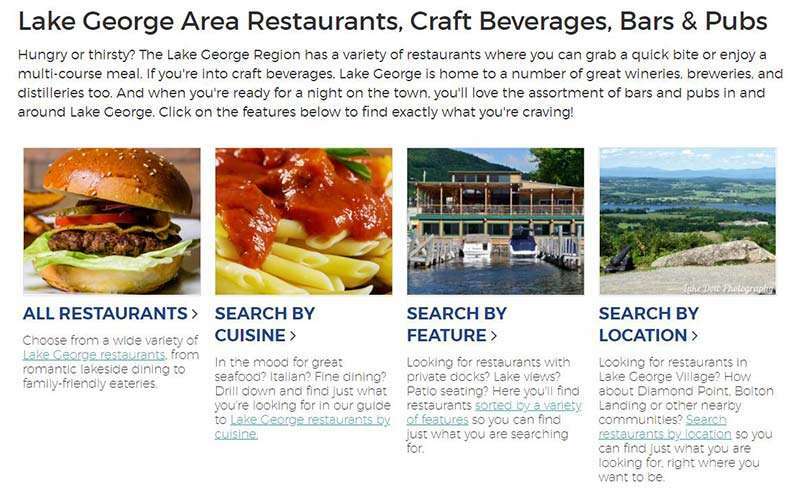 If you'd like to spread the word about your Lake George business, then consider advertising on LakeGeorge.com. 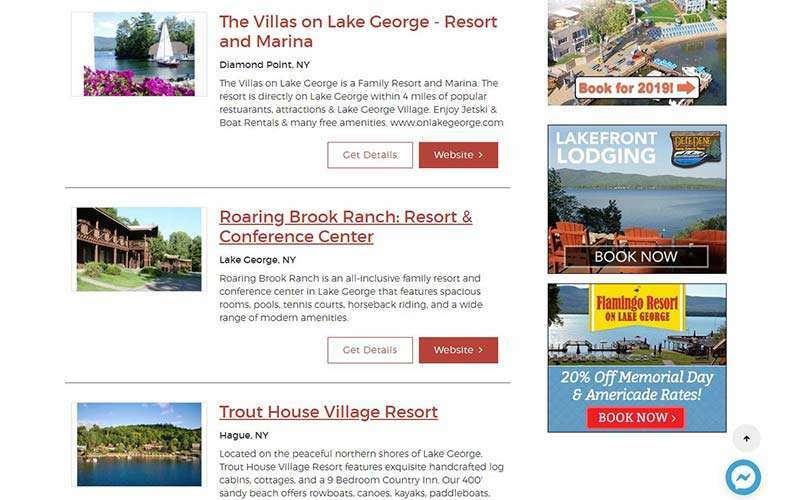 We offer a variety of advertising packages and can help you reach the right audience. 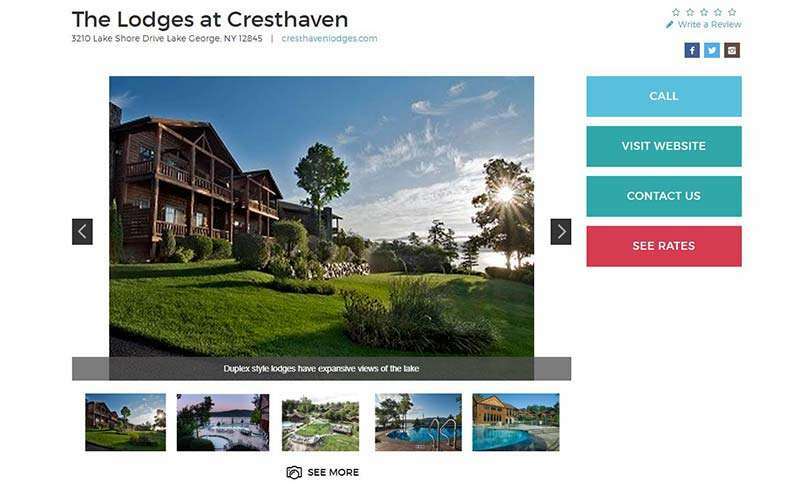 Visit our website today for more information!